Notice in the example below that there are three payment records that do not match an invoice number. 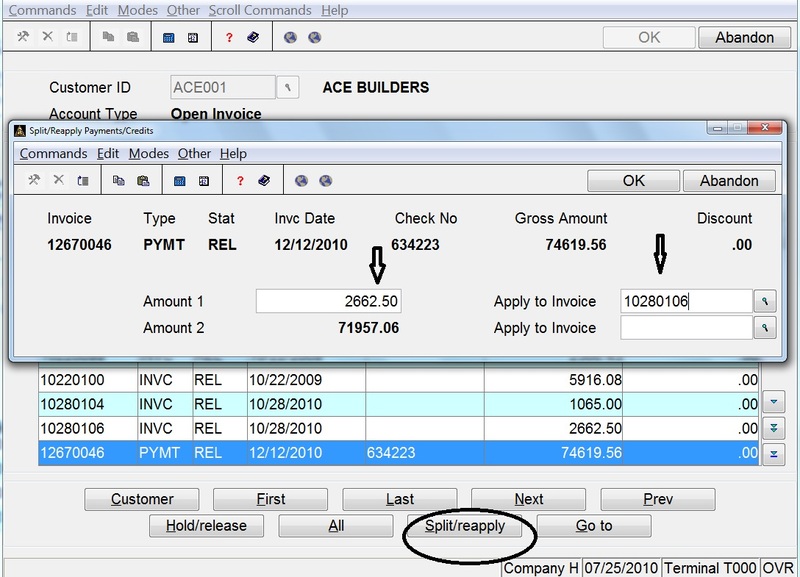 We can use the SPLIT/REAPPLY feature in the HOLD/RELEASES routine to reassign part of any of these three payments to any of the invoices. 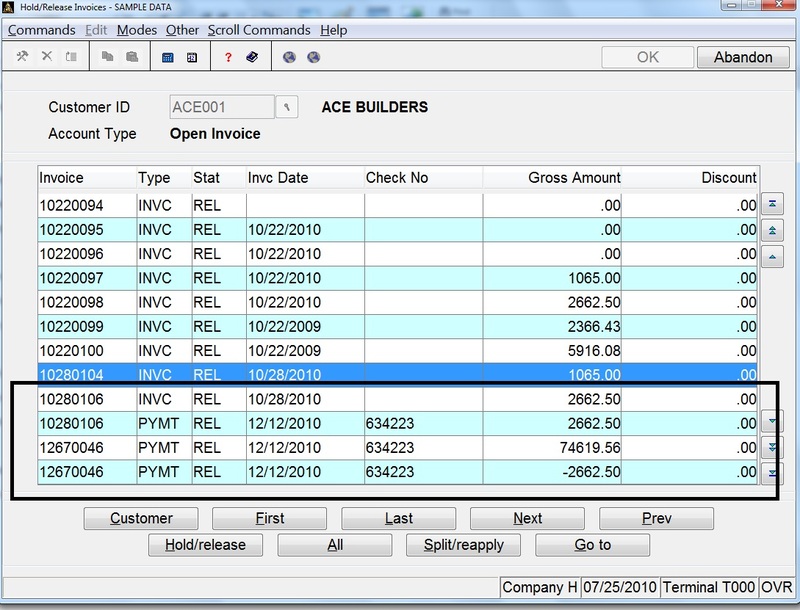 Go to AR or SO OPEN INVOICES MENU, select HOLD/RELEASE INVOICES. Call up the specific customer id. Highlight the payment or credit memo and choose the SPLIT/REAPPLY option at the bottom. 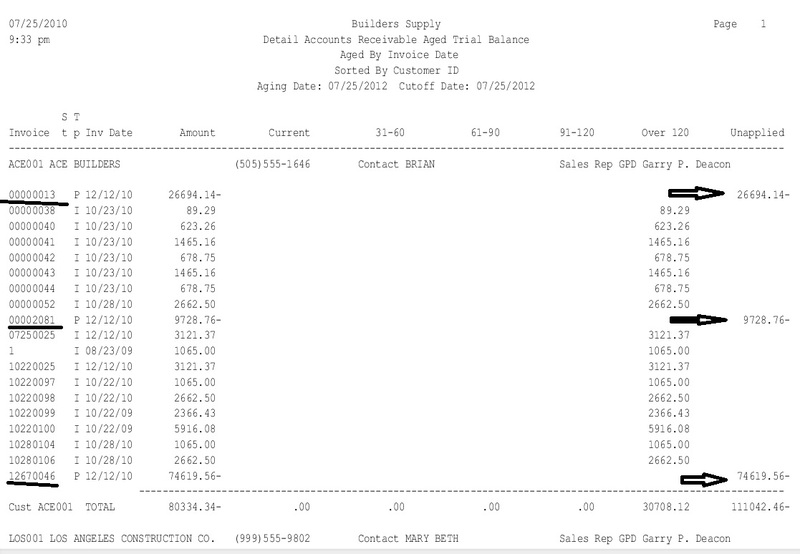 When the box comes up, enter the amount to apply and to the right, enter the exact invoice number id. The computer will shortly redisplay showing a reversing entry for both the payment and original invoice. 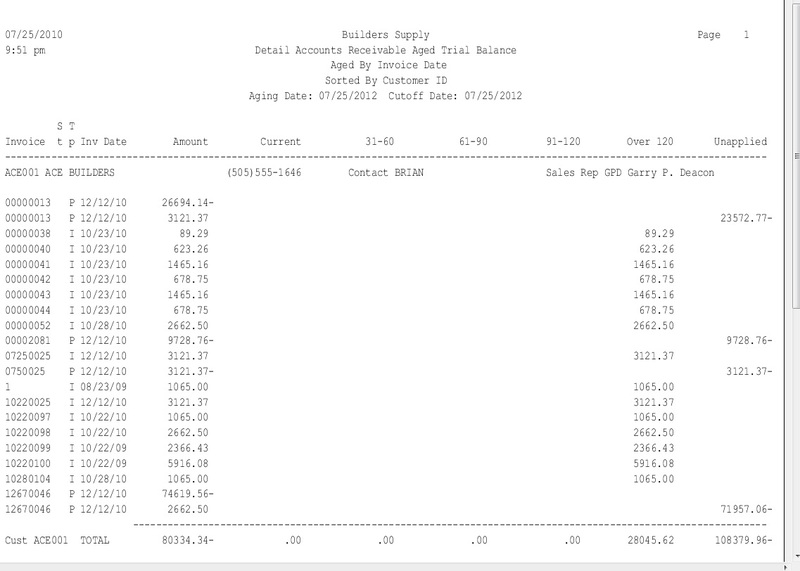 Notice that in our example invoice number 10280106 has both an invoice and payment for the same amount. When you now reprint the Aged Trial Balance, this invoice will no longer appear and the payment will show a reduced amount of open credit. Next Next post: Is OSAS, Open Systems Accounting Software, Good Business Software?